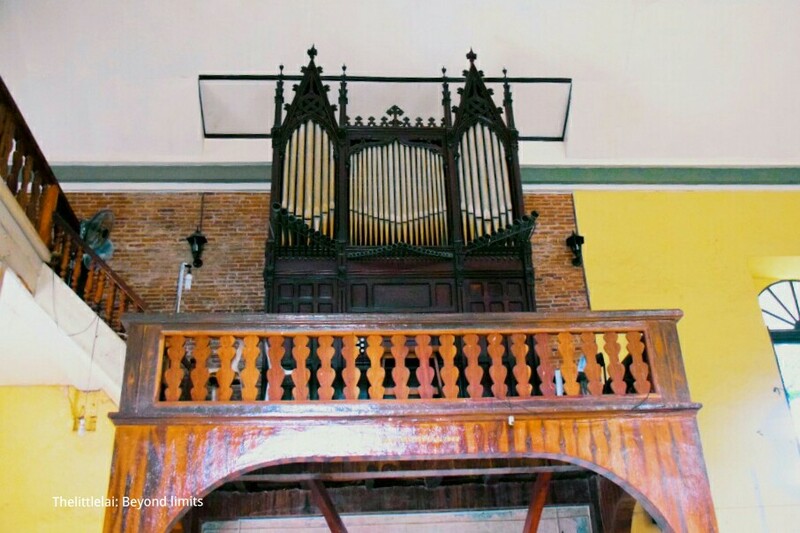 ST. AUGUSTINE of Hippo Church in BACONG: Keeping the PIPE ORGAN from Zaragoza, Spain. I captured the last mist forming on the window glass of the car, slowly rolling down as the rain had just started being friendly while giving a special moment to the skies and the sun as his best friend, gathering their strength to give us a beautiful weather as we made our way to the Historic town of Bacong, Negros Oriental. What made us visiting this town is to see the Church of St. Augustine of Hippo Church and the pipe organ. Upon getting in, we were greeted by the well grown trees with their huge trunks while spreading their bough in a different direction as the leaf sways whenever the winds blows. It provides shade and just seeming to be so attractive. 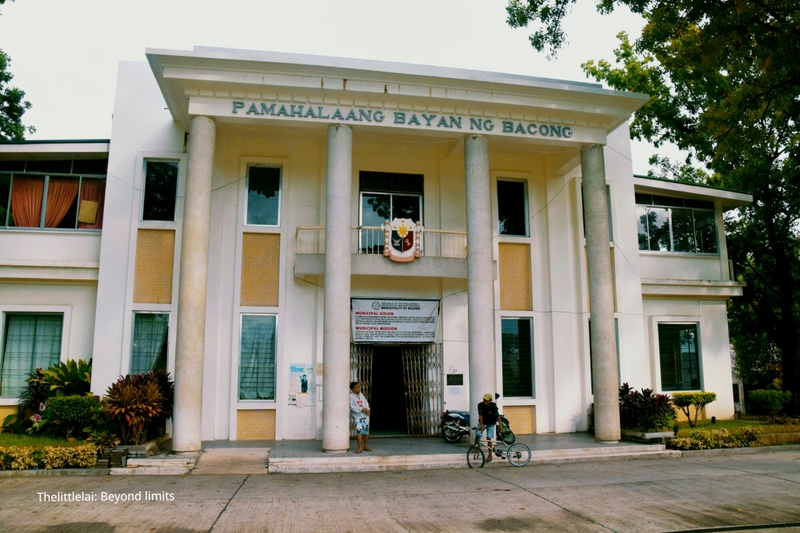 The municipality of Bacong is a small coastal town located near Dumaguete City with an estimated 10-15 minutes ride and only 8.5 kilometers away from Dumaguete City and noted as the smallest municipality in the entire Province of Negros Oriental. 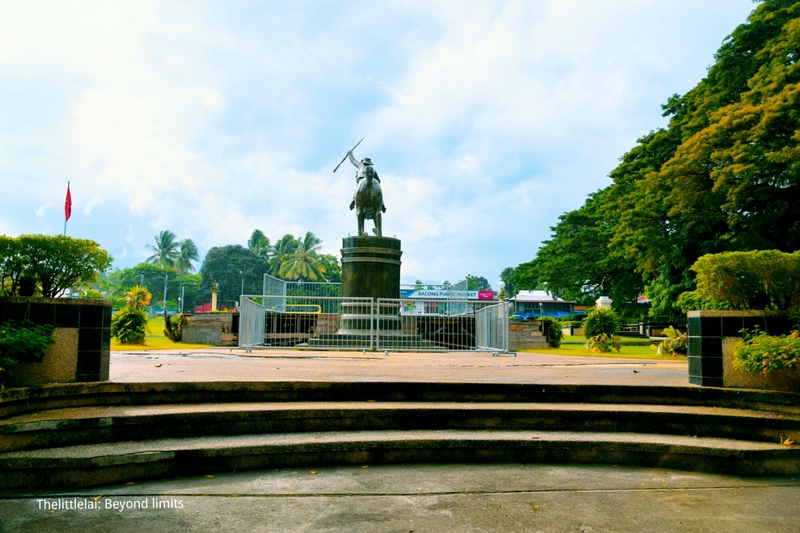 Bacong was founded in 1801 and a birthplace of General Pantaleon Villegas known to be a hero of Negros Oriental and only Katipunero. His birthday is being celebrated every July 27, and appeared to be a known celebration as “Leon Kilat Celebration” to mark his bravery during the “Battle of Tres De Abril”. Where he was labelled as a Hero because of what he fight for. was beautifully constructed near the sea. It was built by the Augustinian Recollects in 1865. The church’s main attraction is the altar and the pipe organ, which is originated from Zaragoza, Spain and was set up in 1894 by the efforts of Rev. Joaquin Soriano, as its first Parish Priest. 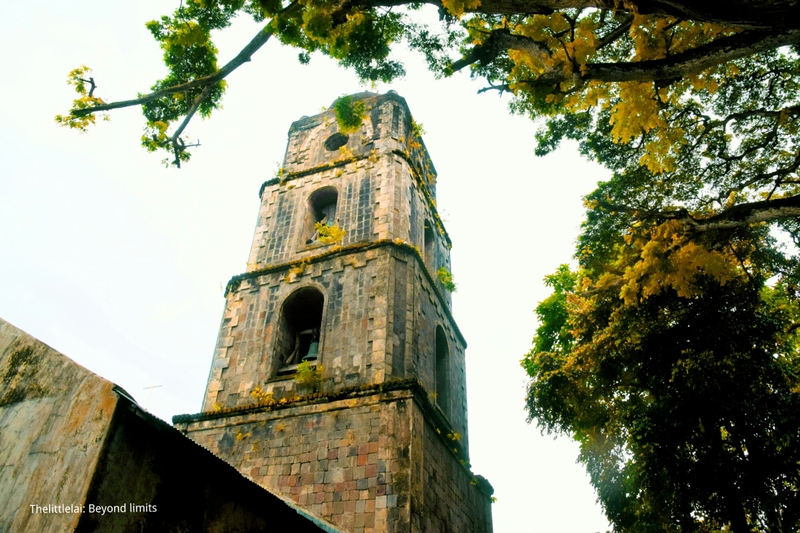 Its bell tower is said to be the tallest in the Province of Negros Oriental and served as look out for the seafaring pirates during the times of marauding days of Moro pirates. 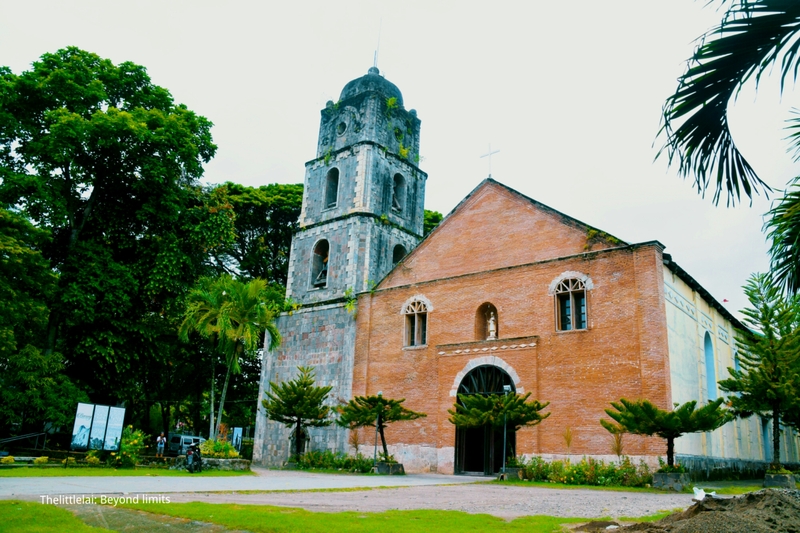 The church is now listed as a National Cultural Treasure. You can barely see an old Church that is facing the vast ocean and exactly what made this Church interesting. During our visit, the Church was open, so we get the chance to go inside and the interior design is truly captivating. While I slowly moved my two little itchy feet inside the Church, I then immediately caught the Pipe Organ peacefully located on the upper side of the Church on the left side. During our visit, there were seminary whom I think are taking an exam, so we then didn’t get a chance to amble around the church, but I was lucky enough to have captured the beauty of the Church. 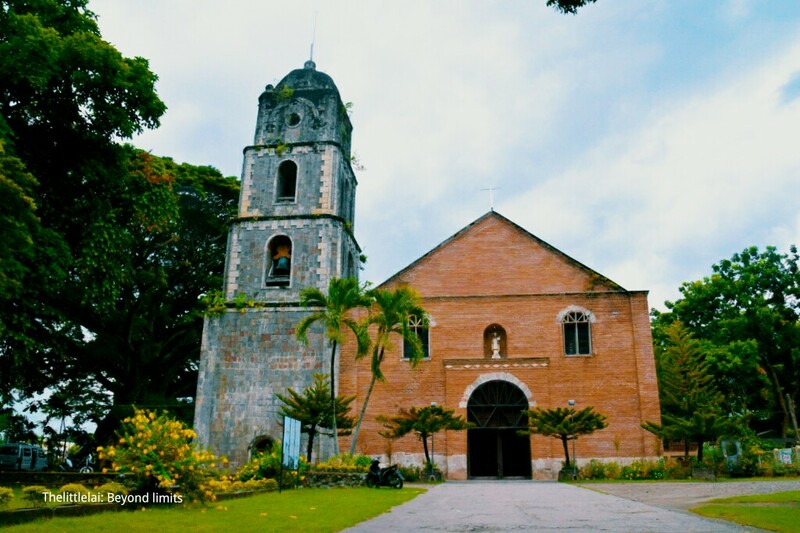 Beside the Church is where the Municipal Hall of Bacong located, you can also see the wide area of their Plaza as a perfect place to play and just enjoy the enticing Bermuda grass while catching with your friends. What I like about Bacong is the notion of being clothed with the fresh air and the air coming from the sea. Never brush off this town when you visit Dumaguete City. I would wish to thank the Province of Negros Oriental Tourism Office and Negros Oriental Chamber of Commerce and Industry (NOCCI) for sponsoring this trip as part of the celebration of Buglasan Festival 2016. The Buglasan Festival will run from October 14-23,2016.For more updates regarding their colorful festival, you can visit their Facebook page at Buglasan Festival. My greatest gratitude for Arnold M Jerodiaz of wanderingsoulscamper for bringing me here and become part of this event. 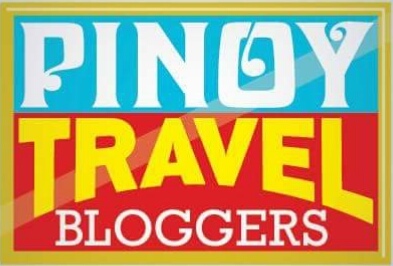 You can book a flight going to Dumaguete City, since Dumaguete City is the entry point. The minute you arrived in Dumaguete City go straight to the jeepney terminal. Ride a PUJ (Public Utility Jeep) near the Public market and look for a PUJ that bound to Bacong. Ask the driver to drop you down at the Bacong proper. From there, you can ask the local where is St. Augustine of Hippo Church. 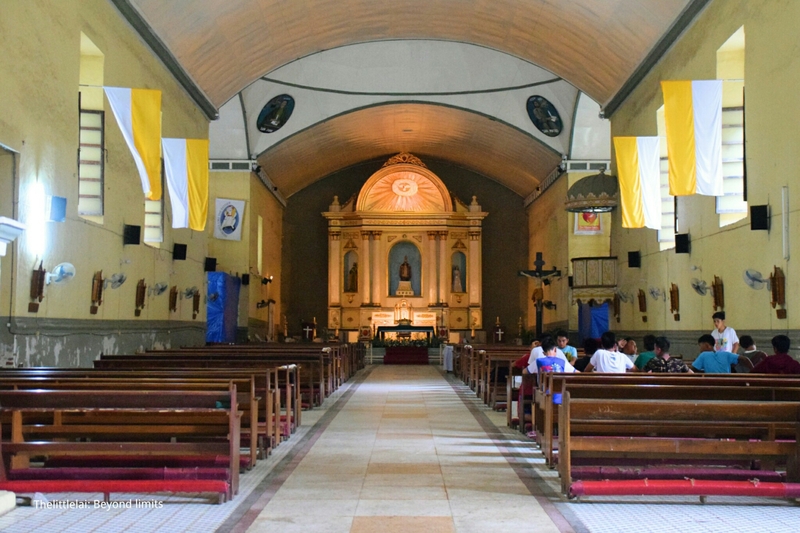 The church is actually situated at the front of Public market of Bacong. Previous Post: AZALEA RESTAURANT: Where everything is refreshing from the FOOD to the stunning VISTA. Next Post: La Residencia Al Mar Hotel: A convenient HOTEL in DUMAGUETE CITY with a HOMEY atmosphere. Beautiful and wonderful presentation. So tempted to visit the places you always keep in your post. By the way, I bet the church had already been renovated because it does not look that old. The scenery is lovely, oh how I do love the sound of the old organs, such a lovely sound! Spain is a great place to visit for churches! Super interesting to read about this town as I’d never heard of it. I love the sound of old organs; reminds me of my childhood. My grandparents had one in their home and we’d play it 🙂 Thanks for sharing these lovely photos along wtih this story! I love visiting churches when I travel, even better if I can catch a mass and hear those beautiful organs being played. The bell tower on this church is particularly beautiful! 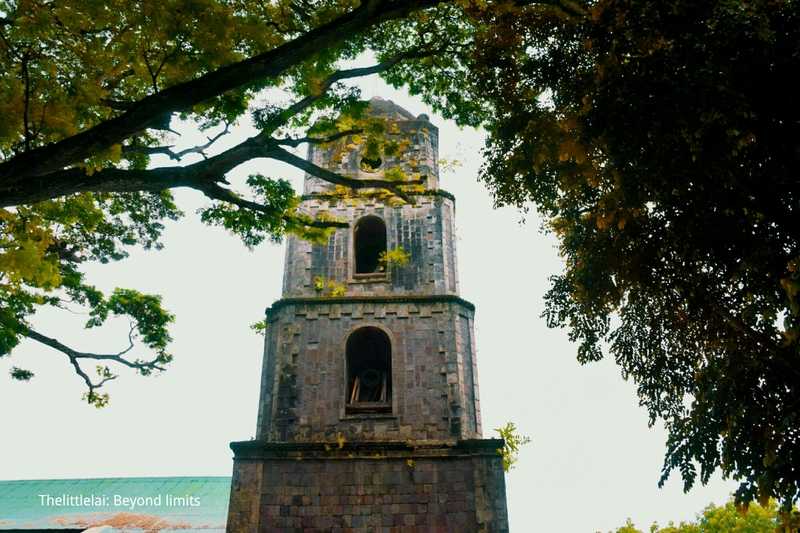 Ironic that pirates used a church as a lookout, but also kind of genius! Bacong looks like it’s a treasure trove of undiscovered historic gems. The church has a rather unusual name though. Why was it called hippo? I can’t stop on laughing as I thought you were in Spain and when I reread your title, you were in the Philippines pala! It’s a good thing that the history in the place is obviously well-preserved. I not religious at all but I can still certainly appreciate the architecture of these lovely churches. 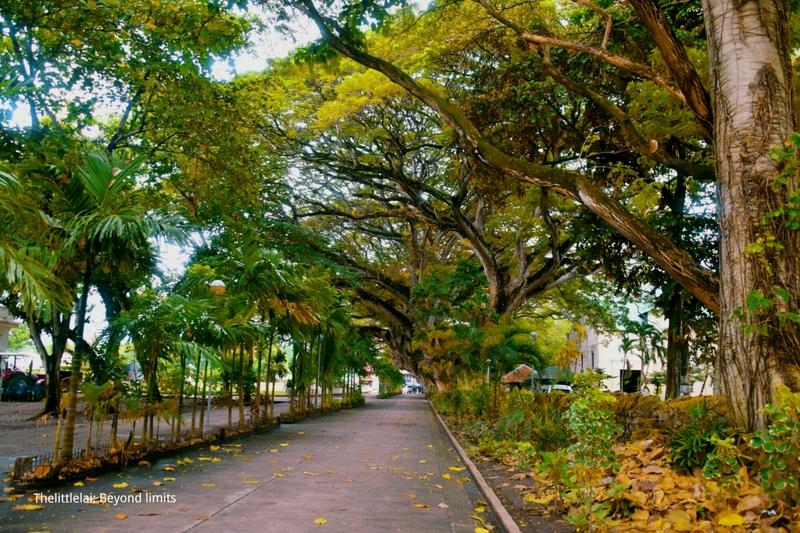 I love the photo of the tree lined paths. It seems like it is reasonably easy to get to going by your instructions. Lots of photo opportunities in that area I would say. I really thought you’re in spain! This is such a teasing place. I always love old churches ans architecture. I find it very charming and picture perfect.. I always love discovering new places in the Philippines! The church heritage is fascination. What an interesting name for a place of worship too! PS I really like how you bolded the words in this piece, made it much easier to read! I love how the bamboo organ looks. It’s like a piece of old time sitting in the modern world. I also love how you constructed your intro. Keep it up! Churches are such icons here and we can’t deny that. I would’ve love to see the bamboo organ up close though. But hey, a very informative post! The St. Augustine of Hippo Church looks modest but beautiful. I bet you wished that they would ave sang a song at the pipe organ while you were there. I had the chance to hear a concert at the pipe organ from the Cathedral of Vienna and I was simply amazed by the beauty of the sounds coming out of it. Yes, I’ve been here! 🙂 Never got to take a photo with it. I love looking and photographing churches. They always say that churches are haunted and bla bla bla. I’d like to hear the pipe organ! I bet it sounds nice! St. Augustine is one of the greatest Theologian and Philosopher alongside St. Thomas Aquinas during their time. They argued a lot especially on topics like the existence of God, the characteristics of God, etc. When I pray, I ask for help from St. Augustine’s soul to let God assist me in times that I need to think or use my wits like when presenting reports, etc. Wow! The town of Leon Kilat looks amazing. I have never been their and I am a bit envious of your Negros trip. 😉 Let’s travel together sometime. adding this place to my list! I am a constant traveler to Dumaguete City and it’s good to know that this church is just near. Hopefully, I can go visit soon. Though the church looks like being renovated a bit but still the Spanish touch was there. 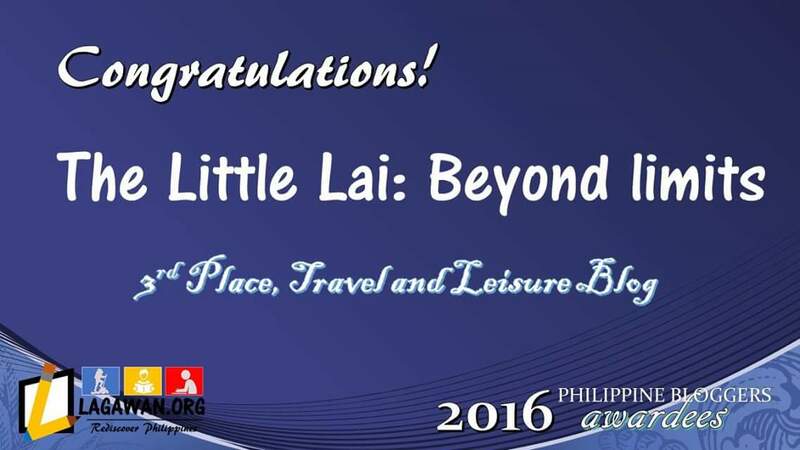 Nice one master Lai. I love the formation of the trees on the way to the entrance. It’s so beautiful. Na maintain japon ang pagka old but gold sa place. Also, the pipe organ is so amazing!